Antiques challenge. Angus Ashworth challenges David Harper to an antiques duel. They visit the antiques emporia in the shires of Stirling and Perth before an auction in Dundee. 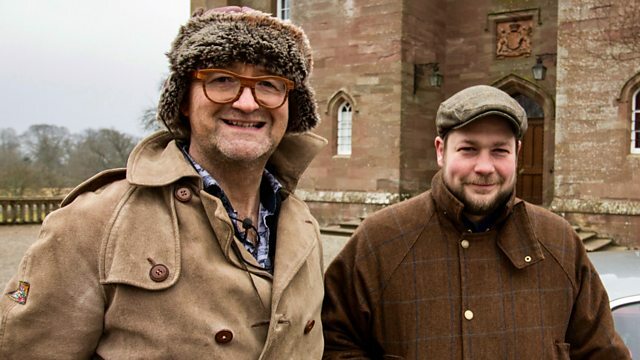 Ex-military man and auctioneer Angus Ashworth challenges David Harper to an antiques duel in Braveheart territory. Armed with a nutcracker, a bear and a swan, will Angus be able to fight off David's punchbowl and shooting stick? Bootscrapers and barometers are pressed into service from antiques emporia in the shires of Stirling and Perth as the campaign marches to the banks of the River Tay. And while David visits the most majestic of trees at Scone Palace, where Scottish monarchs were once crowned, Angus heads to Gleneagles to discover the story of falcons serving king and country in the Second World War. This is a battle royal, but who will raise the standard at auction in Dundee?